I am holding a special Simplicity Mini Session the entire month of May here in the Cedar Falls Studio. Sessions are $200, approx. 20 minutes long and include 10-15 digital images with Print Release. 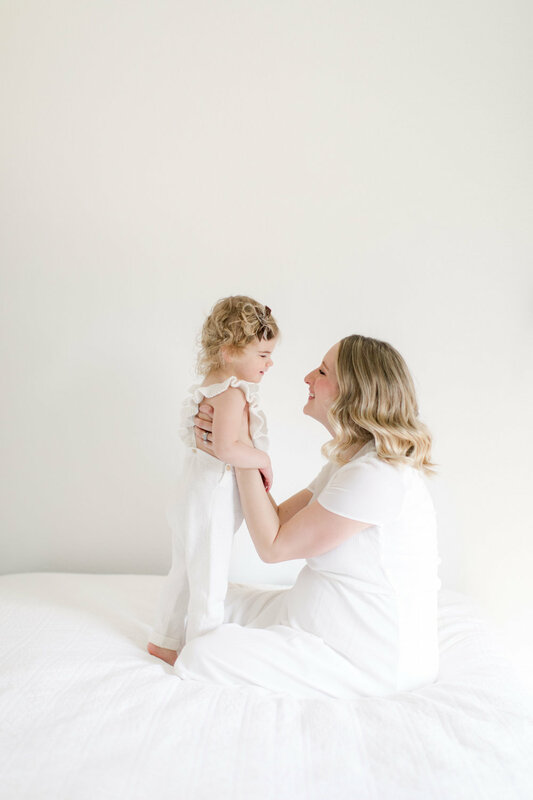 These are super simple lifestyle sessions in the white room as illustrated below with Charlotte and her mama-to-be. Email hello@darcydempster.com to schedule your May appointment today.